At an event in New York City, Microsoft took the wraps off the Surface Pro 3 tablet. The slate features a 12” display with a resolution of 2160 x 1440 pixels and 3:2 aspect ratio. Unsurprisingly, the Surface Pro 3 features the same design language as its older siblings. The slate however is thinner at 9.1 mm and has seen it Start button move to the left side of its display, thus meaning that it will sit below it in portrait mode. You can see the official Microsoft Surface 3 Pro promo video below. 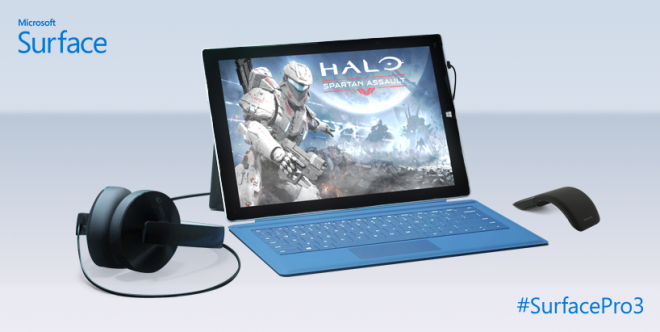 Pre-orders of the Microsoft Surface 3 Pro kick off tomorrow. The slate will be available in the United States staring on June 20. The rest of the world will have to wait until the end of August. The rest of the tablet’s key features include a duo of 5MP cameras capable of capturing 1080p video, front-facing stereo speakers, as well as a host of connectivity ports. The latter include full-size USB 3.0, Mini Display port, and microSD card. 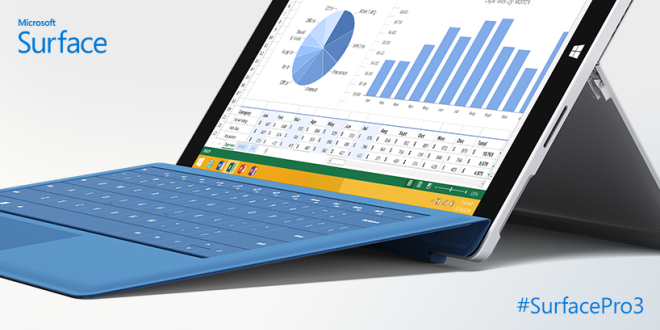 Ergonomics of the Surface Pro 3 have been greatly enhanced in comparison to previous models. At 800 grams, the slate is extremely light considering the performance on tap. A multi-position kickstand on the other hand, ensures that the tablet is usable in a large number of positions and scenarios. As is the case with all Microsoft Surface Pro tablets, the newcomer features a brand new Surface Pen which boasts high precision and pressure sensitivity. Furthermore, the tablet features an updated Type Cover which automatically adjusts to the angle of its kickstand.